The seasons are changing, and when this happens, your skin changes too! 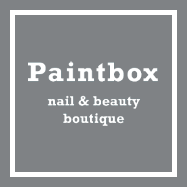 Paintbox is embracing skincare this September and is offering some fantastic treatments to get your skin feeling revived, rejuvinated and ready for the colder months ahead. This tailor-made facial is designed to give your skin a substantial treat and is ideal for when time is of the essence. Our 45 minute treatments Includes a cleanse and skin diagnosis, deep exfoliation, a lymphatic drainage massage and a mask to suit the needs of your skin. If you're skin is feeling dehydrated, dull or generally over-exsposed to the sun, this is the perfect post summer facial to get you back on track. The Katherine Daniels Salt & Oil Scrub uses a cocktail of Sea Salts from around the world combined with Essential Oils to give a luxurious and gentle exfoliation. The treatment eliminates dead skin and impurities to reveal revitalised and silky soft skin. Combined with a luxurious Back, Neck & Shoulder Massage designed to soothe tired muscles and de-stress the mind, this is the ultimate detoxing back treatment.